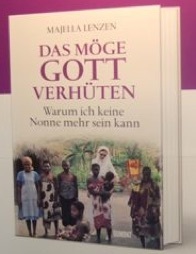 distant relatives were members, in Germany, in order to serve the church in Africa. Seven years later, as Sister Maria-Lauda, her hopes began to be realised. In 1960 her missionary order sent her to train as a nurse in Nairobi. Even though her wish was to become a doctor, she accepted this decision since she had taken the vow of obedience (celibacy and poverty). For the next three decades, Sr.Maria Lauda served the church as a nurse and administrator in Africa - mostly in Tanzania but also in Zimbabwe. She developed a tremendous love for the people there, which found its expression in her phenomenal achievements. In the fast growing village of Turiani, in central Tanzania, 100 km away from the next larger town Morogoro, she built up a small, run-down hospital into a large, well equipped and efficient institution serving a large rural area. Catholic aid agencies, notably Misereor, Memisa, CAFOD, Caritas and many individual donors, impressed by her obvious competence and dedication, provided financial support for this work. But adhering with rigidity to some of the rules of her Congregation became an increasingly troublesome challenge for Sr. Maria Lauda. On several occasions she tried to persuade her superiors to start a process of internal renewal and reform, following the principles of Vatican II, but without success. Things came to a head during her five-year stay in Zimbabwe, where she had been appointed 'Mother Provincial' of her order. Here she adopted a more informal and democratic way of working with her Zimbabwean Sister colleagues than European Sisters had done in the past. This greatly displeased the higher authorities, who insisted on a more rigid adherence to the rules. She was eventually replaced as Mother Provincial and took one year's unpaid leave of absence or `exclaustration´ from her order. On return she was posted to their Motherhouse in Holland and in 1990 received her transfer back to Tanzania. Here she started the Rainbow Centre - the Catholic church's first AIDS programme in the diocese of Moshi - which soon became a model for the church's AIDS work throughout the country. Yet the success of the Rainbow Centre led to Sr.Maria Lauda's final break with her Congregation. While visiting Dr. Nkya in Morogoro, one of the Ministry of Health’s AIDS supervisors, Sr. Lauda used the Rainbow Centre's vehicle to transport the team to the area where Dr. Nkya had successfully helped prostitutes regain their own independence. On this trip condoms were distributed to prevent further spread of infection. Even though Sr. Lauda visited the sick and dying during this event, this incident led to the charge that Sr. Maria Lauda, a Catholic nun, was distributing condoms. (The institutional Catholic Church forbids the use of condoms even in a life and death situation, as this was.) Without being given a chance to defend herself, the Bishop in Moshi refused to “work with people who distribute condoms”. Her work contract in the diocese was discontinued and since apparently there was “no use for her” in the Congregation either, she returned to Germany. Sr. Lauda, now without an official ‘job’ in the church and suffering trauma from the whole chaotic upheaval, began to look after her elderly mother, who needed care at that stage. 'A Nun's Story' is the tragic tale of a highly intelligent, skilled and committed Catholic Sister whose talents were not appreciated - and ultimately rejected - by the church hierarchy, a church that can ill afford to lose servants like Sr. Maria Lauda. Yet, in this book, without any trace of bitterness, Majella Lenzen tells her story frankly and clearly, even with a mixture of humour, irony and humility. She has not lost her Christian faith, nor her belief in the church, despite the injustices which she has suffered at the hands of church leaders. Readers of “God forbid” will feel a sense of outrage, but they will also feel inspired and uplifted by this book. 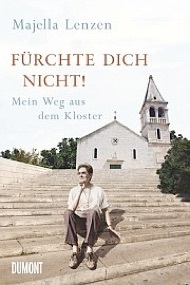 Majella Lenzen's fellow German, Pope Benedict, should take the time to read her story. More so, since his office, when he was still Cardinal Ratzinger and Head of the Propaganda Fide in Rome, appeared to be responsible for her `release´ from her AIDS ministry. This entire process of ostracizing her as an efficient and well functioning religious helped her to mature into the person she had become. Thus she found the courage to no longer accept being discredited by rules and laws and unsubstantiated statements, and she left her Congregation in October 1995. It will also be of enormous interest to readers in English-speaking countries who are interested in health and development in East and Central Africa, and in the role of the church in responding to the challenges of the HIV epidemic throughout the world. Sr. Lauda was in training in Nairobi when Kenya gained its independence. She came to experience some of the life which was known to many British settlers through Karen Blixen and the movie “Out of Africa”. When she started her activities in Tanganiyka the independent country was just uniting with Zanzibar to become what is now known as Tanzania. While being actively involved in the health service in that country she helped shape it to some extent, side by side with her Tanzanian fellow sisters in the Congregation and among the people whom she served. Many readers will also be interested in the insights contained in this book into the painstaking process of 'modernising' the church and making it more relevant to the challenges of the 21st century. Which in her case, seemed a lost battle, in relation to her own order, at least while she was still a member. Sr. Maria Lauda, Majella Lenzen, had the courage to write her biography, in order to break the silence and inform the public of the unspoken and hidden inscrutability that exists in several religious orders. 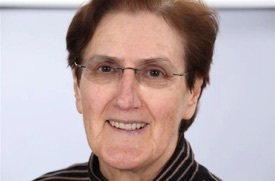 The traumatic experience of leaving the congregation at a late stage in life, left Sr.Lauda, the ex-nun, financially and socially dependent on the state welfare system. Since the Congregation, to date, pays the minimum social insurance rate of contribution, the many years Sr.Lauda spent in the selfless service of others, did not qualify her for a living pension, to survive reasonably. Only with legal assistance did Majella, eventually secure a minimal living allowance. What was even more humiliating and soul destroying was that the service she freely gave in love, and in the name of the church, left her now literally begging for her own survival. Contrary to the grandiose statements of the church that she, the Church, is the advocate of mercy and justice. The focus of this book is on such topics as integration into civilian life as one who felt a stigmatised and an outcast person. It also shows how she felt drawn to persons who suffer from Aids, this terrible disease and how she continues to be involved in the Aids project which her Tanzanian friend Ida Naiso started after Sr.Lauda had left the diocese. It describes the death of her mother in 2001, the person who had been her first and only anchor on leaving. It shows her painful search for justice for ex-nuns and brings to light the stories of others who left their orders. She continues to hope – for change – and to encourage persons, especially women, to trust in their own inner strength to become their authentic selves - at whatever age or stage they are - to have the courage to embark on the wonderful adventure of life.